Shaam Homes is 11 Year Experience in Real Estate Industry at Chennai,to Promote Plots,Villas,Flats in around Chennai.We have Separate Division for Rental Services & Property Management. 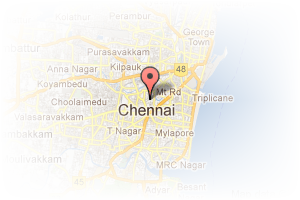 Address: flat no 3DB&B status,#111,Radha nagar main road, Chromepet, Chennai, Tamil Nadu, India. This Builder Profile page for "Shaam Homes Pvt Ltd" has been created by PropertyWala.com. 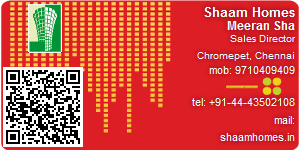 "Shaam Homes Pvt Ltd" is not endorsed by or affiliated with PropertyWala.com. For questions regarding Builder Profiles on PropertyWala.com please contact us.